At the Office of the Vice Provost for Research, we encourage researchers to apply for funding, participate in workshops, and engage in the research process at every stage. This is not a complete list of opportunities. For more comprehensive funding opportunity searches visit grants.gov (for government funding agencies), or GrantForward (database available through the library's Funding & Grants: Information Resources page). And the Office of Corporate and Foundation Relations (CFR) maintains a comprehensive list of funding opportunity databases available to Brandeis faculty and staff, and a calendar of recurring foundation RFPs in all fields. The William T. Grant Foundation Research Grants program supports theory-building and empirical research projects on reducing inequality or improving the use of research evidence. Research grants on reducing inequality typically range from $100,000 to $600,000 and cover two to three years of support. Improving the use of research evidence grants will range from $100,000 to $1 million and cover two to four years of support. The Russell Sage Foundation Project Awards provide a maximum of $150,000 over two years to support innovative projects that collect or analyze new data to illuminate issues that are highly relevant to the foundation’s program areas of behavioral economics; the future of work; race, ethnicity, and immigration; and social inequality. The foundation encourages projects that are interdisciplinary and combine both quantitative and qualitative research. The Theodore and Jane Norman Awards for Faculty Scholarship supports faculty research, creative projects or course development. The Theodore and Jane Norman Junior Faculty Research Leaves guarantee one semester of paid research leave in either the fourth or fifth year of residence at the University. The Theodore and Jane Norman Salary Replacement Award is available to faculty who receive major, prestigious external grants or fellowships (e.g., Guggenheim; Fulbright; ACLS; NEH; Radcliffe Institute; AAAS Fellows; and grants from "in- residence" centers such as the National Humanities Center). Funding for tenure-track professors who do not have start up funds have access to $4,000 in research and travel funds. Activities to be supported by this fund include: research travel, travel to conferences, computers/software, Widener card, books, course development materials, and research assistants. Library guide to information on funding and grants, scholarships, and fellowships, by division. Find more research opportunities at the Office of the Dean of Arts and Sciences. Brandeis University's Hiatt Career Center provides opportunities to support your research. See especially the Internship and Research Grants. Find out more about opportunities across campus to fund your research and creative work. Find more research opportunities for undergraduates at Academic Services. The United States–India Science & Technology Endowment Fund (USISTEF) provides $400,000 of grant support to S&T-based start-up initiatives. Proposals must include a minimum of one partner from the United States and one from India, and they need to work together to commercialize technologies with a societal impact. 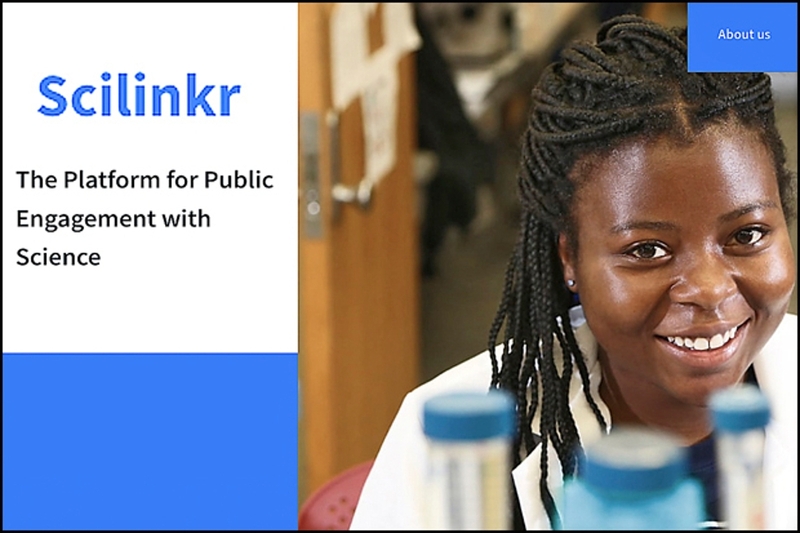 A new national online platform called SciLinkR launched to be a meeting place for professionals interested in promoting and publicizing science. It will also enable users to document their outreach efforts. 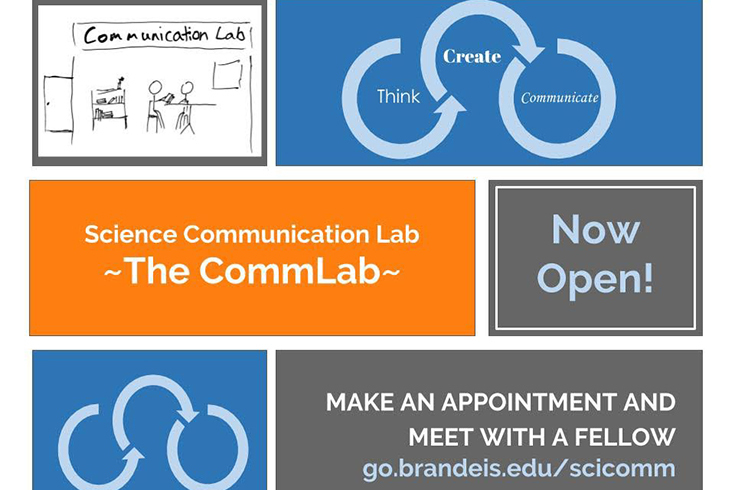 We are excited to announce the opening of a new Division of Science resource called the Brandeis Science Communication Lab (the CommLab)! The CommLab's trained graduate student and postdoc Communication Fellows offer individual coaching, targeted workshops, and a range of initiatives to support the Brandeis scientific community with the skills they need to communicate the rationale, process and results of their incredible science to any audience in written, spoken or visual form. We invite any Division of Science undergraduate student, graduate student, postdoc, laboratory-staff or faculty person to make a coaching appointment to review any scientific work involving communication: posters, scientific talks, journal articles, resumes, fellowship applications, and more. Use us anywhere from brainstorming to final edits – the earlier the better. To learn more, make an appointment, or read the fellow bios, check out our website. The CommLab is supported by the Division of Science, the Brandeis MRSEC, the Office of Vice Provost for Research, the Neuroscience Training grants, and the Departments of Biology, Physics and Chemistry.